Happy Thanksgiving! Hope you all are enjoying the festivities (and food) and having a blast with family and friends! Just wanted to share a little red-on-red action with you today, since we’re now so close to Christmas. 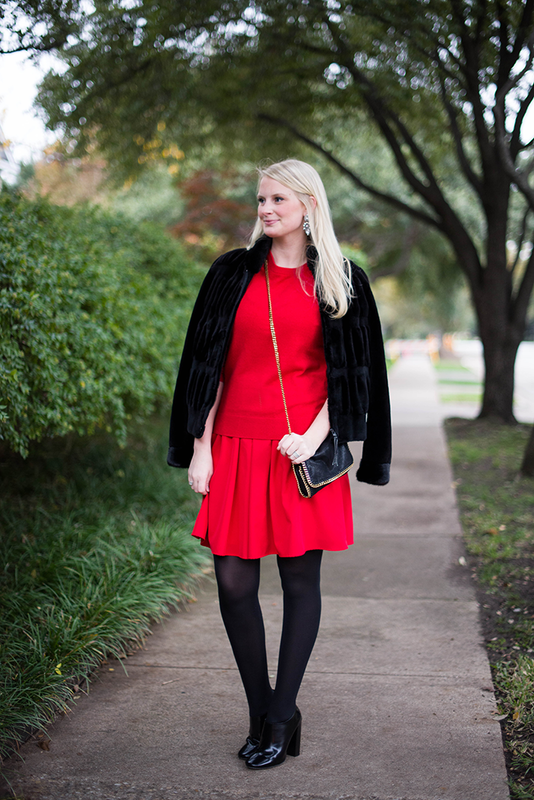 This dress (worn as a skirt) was the perfect steal – only $40 – even though I’m not a fan of the slight cutouts, it makes for the perfect layering tool for the holidays. 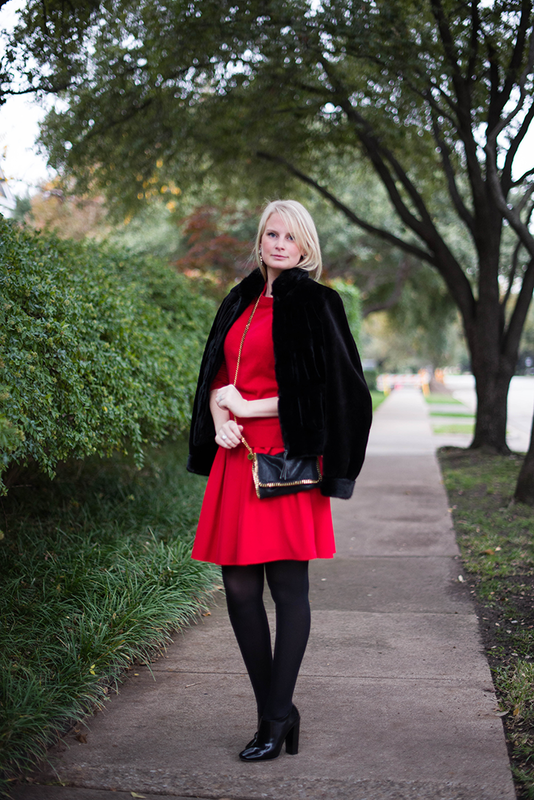 I layered it under this cherry red Equipment sweater, a recent favorite from NET-A-PORTER. Red is clearly a new favorite shade of mine – what are yours for the holidays? Check back tomorrow for the best deals and steals of the season – can’t wait for Black Friday! Happy Thanksgiving Merritt! Hope you have a wonderful day with your family, too! XOXO Love red on you! It’s definitely your color! You look gorgeous, red looks amazing you. I love that little bag, Happy Thanksgiving Merritt. 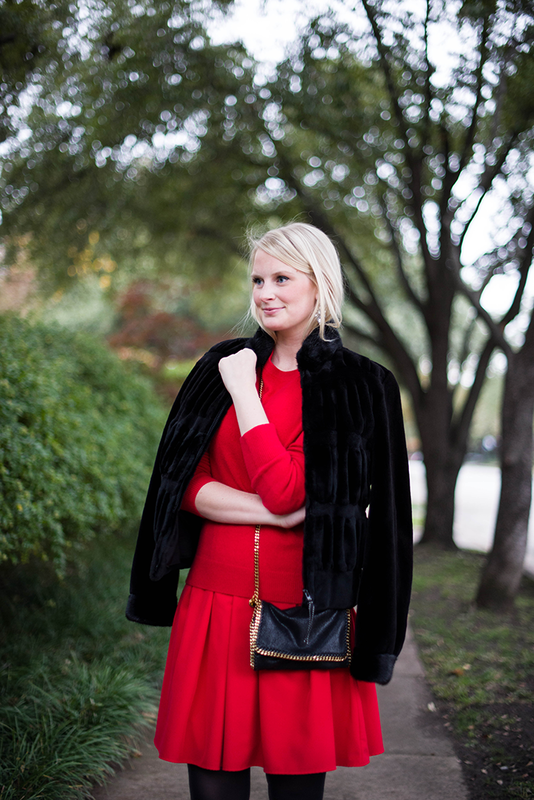 Such a gorgeous look for the holiday season! Those earrings are the perfect mix of elegant and chunky! They compliment the red PERFECTLY. You look beautiful in red! love the shoes. Lovely photos Elizabeth!